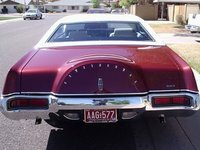 CarGurus has 2,954 nationwide Continental listings starting at $2,700. 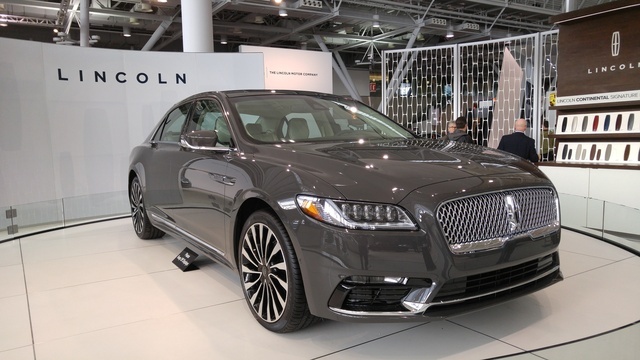 Lincoln marks the return to grand style with its new flagship 2017 Continental. Lincoln was a legend. The Continental, which carried enormous V12 engines in the ‘40s and several U.S. presidents in the ‘60s and ‘70s, was a masterpiece. Today, Lincoln is lucky to be in business after years of cost-cutting and intense foreign competition. 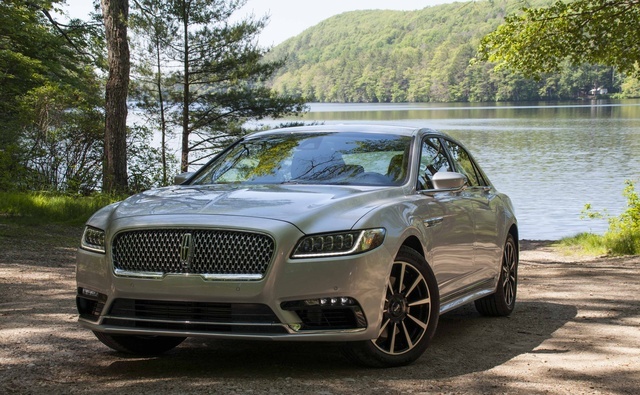 But today, there are new Lincolns like the 2017 Continental, which alongside the Navigator SUV is the brand’s most critical—and possibly its last—chance at success. When Lincoln unveiled the Continental concept in 2015, the job was done. Then-chief Bentley designer Luc Donckerwolke was so outraged, he told Lincoln’s design chief “Do you want us to send the product tooling?” and called it a copy of the Flying Spur (now at Genesis, Hyundai’s nascent luxury brand, Donckerwolke’s latest designs resemble Bentleys). The production Continental is right on target. Based on a stretched Ford Fusion chassis, the Continental is appropriately long and elegant. It hides the Fusion’s front-wheel-drive origins well enough, with a low shoulder line and big hood and tail overhangs that are the traditional marks of a stately, rear-wheel-drive flagship sedan. The Continental doesn’t drip with chrome, yet there’s enough flash in the grille and side trim. Creases are kept to a minimum, it has a balanced mix of curves and edges, and even the taillights, connected by a thin band of LED lighting and chrome, stand out. But it’s the door handles. You’ll get compliments on the door handles, like I did from the McDonald’s drive-thru cashier. They’re not on the doors. These solid metal parts flow outward from the window strip like blown glass. Getting used to gripping the pad behind them to actuate the electric locks takes only a moment. Getting out of the car and realizing there’s no door handle at all—something I don’t particularly like, as interior door handles can be works of art—takes several tries. This kind of detail is what Lincoln needs. Inside, the Continental’s blend of rectangles, a thin center console, sports-car-like seats that separate the cushions from the seatbacks, thin rear headrests, unique switchgear to distance it from lesser Fords, and a wealth of upscale color combinations are surprising. Unfortunately our test car’s interior was a black hole that didn’t show off these finer details, and to get the best treatment you’ll need the top Black Label trim. Some of the materials are third-class, like the grain patterns on the door and center-console rubber that looks cheap and plasticky. Dressed in brighter shades, the Continental delights. Three V6 engines are available. 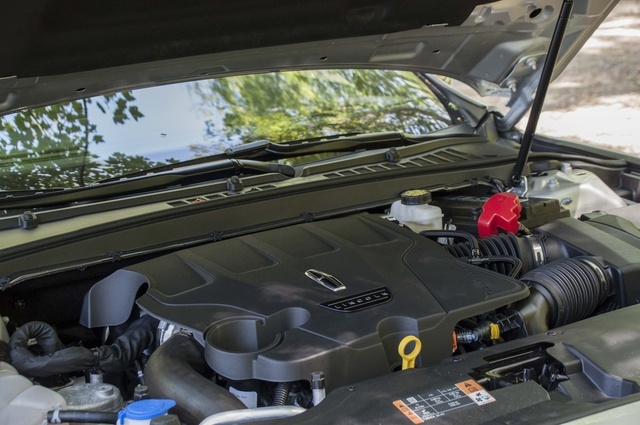 The base 3.7-liter puts out 305 horsepower, a turbocharged 2.7-liter makes 335 horsepower, and our car’s 3.0-liter twin-turbo produces 400 horsepower and an equal helping of torque. Front-wheel drive (FWD) is standard, with all-wheel drive (AWD) optional on all trims (except if you order the twin-turbo engine, which comes only with AWD). A 6-speed automatic with paddle shifters is all that stands between your expectations of a $70,000 luxury car and the stark reality of a Ford transmission. Under medium to heavy load, the transmission feels out of sync with the throttle, delaying shifts and then surging. Around town it’s unobtrusive, and the Sport mode does a decent job applying early downshifts. But whether it’s the mechanicals or the programming, this gearbox drags the Continental down. Had Ford installed its new 10-speed (or ZF’s superb 8-speed), there’d be no complaint. Acceleration is otherwise impressive and robust, although it tapers off quickly at higher speeds. At 4,500-plus pounds, this sedan is no lightweight. The three-way adaptive dampers are the Continental’s trophy, just as they are in top trims of the MKC crossover. In Comfort mode, they deliver a pillowy yet controlled ride. In Sport mode, they noticeably stiffen. The default is predictably in-between. At no point does the Continental drive like a sporty European sedan. It’s all about riding softly and straight, and the light steering reflects that mission. You’ll be dissuaded from any sprightly maneuvers by the Michelin Primacy tires, which prioritize low rolling resistance over grip. Body motion is always kept in check, and the Continental never feels nervous at higher speeds. For relaxing on long highways, the Continental is a true Lincoln. Backseat passengers enjoy cavernous legroom and (with the $4,300 rear seat package) power-reclining cooled seats with music controls in the center armrest. 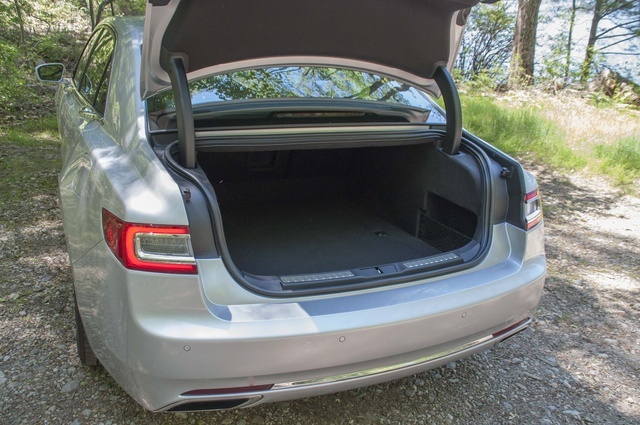 Unlike most luxury cars that offer power rear seats, these actually fold flat to expand the trunk’s generous 16.7 cubic feet of cargo space. Nowhere, not anywhere, does the Continental feel cramped. The 30-way power front seats ($1,500) offer massage, heating and cooling, and separate thigh extensions—you know, in case one leg is longer than the other. It seems overkill, yet the more you play with the controls (most on the doors, some in the center touchscreen), you’ll appreciate the minute adjustments and know whenever someone’s messed with one. 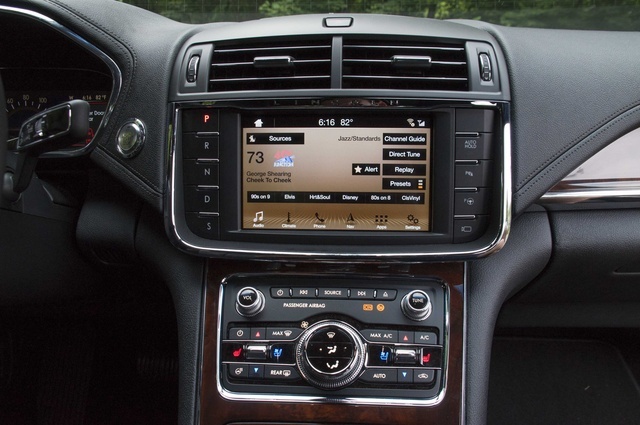 Lincoln uses buttons and dials for the stereo and climate controls, a major relief after you’ve fiddled with Cadillac’s touch-sensitive dash. 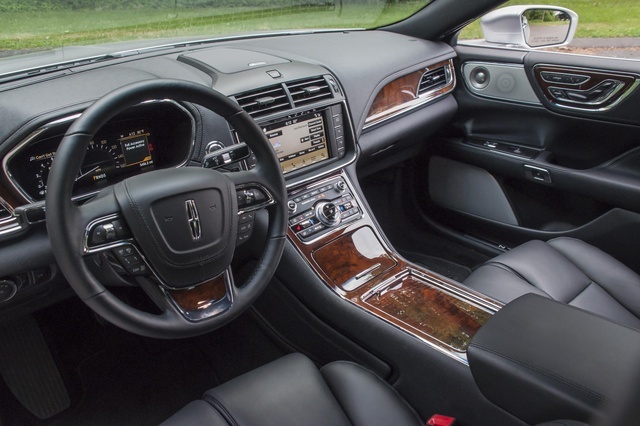 Lincoln had similar controls years ago and reverted after owners complained. The gear-selector buttons on the side of the touchscreen are yet another unnecessary burden on new car buyers, who apparently can’t be trusted to move a stick fore and aft as we’ve been doing for generations. They also take up valuable dash real estate that buries other functions, like the drive mode selector, within several submenus of the digital instrument panel. You must hunt to change the suspension, steering, and throttle settings, which is unacceptable and distracting. It’s also strange that a sunroof isn’t standard. You must spring for a $1,750 double moonroof or none at all. But overall, the Continental’s simple design, ample visibility, and living-room aura are on the mark. A full suite of driver assists are available in the Technology Package, including lane-keep assist, auto braking, pedestrian detection, automatic parallel and perpendicular parking, a head-up display, and adaptive cruise control. There is no semi-autonomous feature that self-steers the vehicle in low-speed traffic, a significant oversight for a flagship luxury sedan. The optional LED headlights, styled like gemstones behind a jewelry-store case, look more impressive when they’re off; the high-beams don’t really light up the woods like they should. The 19-speaker Revel Ultima stereo is in a similar rut. It’s good, but can’t surpass the clarity and punch you’ll find from Meridian, Bowers and Wilkins, or some units from Harman Kardon (which, ironically, is the company that builds the Revel). Sync 3 is the best tech feature, just as it is in Ford models. It’s fast, intuitive, and never clogs you down in confusing menus, long lists, or superfluous graphics. Voice control is superb, and the navigation directions can sound a soft gong for the next turn, a nice compromise when you want to be alerted but dislike a robotic voice. The digital instrument panel allows a few reconfigurable gauge options but isn’t as detailed or easy to use as those from Audi and Mercedes. For example, you can’t have full-screen maps or change the color scheme. The illuminated lock controls on the exterior door pillars, however, are a nice touch. 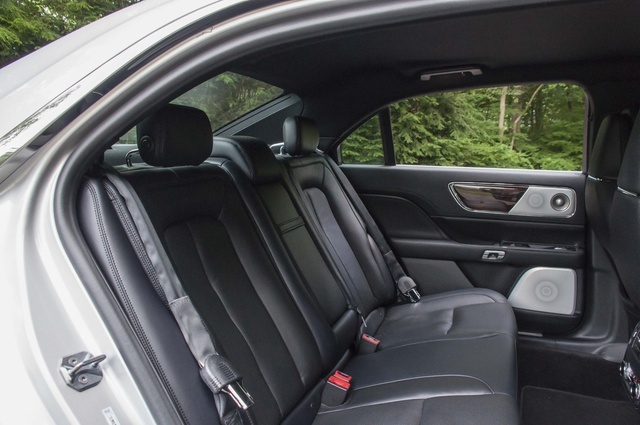 In addition to the available driver assists, the Continental includes optional inflatable seat belts that claim to reduce shoulder and chest injuries for rear passengers. The Continental has not been rated by the National Highway Traffic Safety Administration (NHTSA) or the Insurance Institute for Highway Safety (IIHS). We bet it will capture top scores all around. Price is this Lincoln’s worst selling point, particularly when it comes to options. The driver assists cost a whopping $4,215 when Toyota is making most of them standard on the Camry. The price for LED headlights and that stereo? $5,000. And at the end, our $72,055 Continental Reserve AWD wasn’t even fully loaded. At that price, Lincoln is against loaded versions of the Mercedes-Benz E-Class, BMW 5 Series, Audi A6, and even the larger Genesis G90. With unproven resale value and overpriced options, the Continental has a tough case ahead of it despite concierge service for dealer servicing and Black Label perks like restaurant reservations. 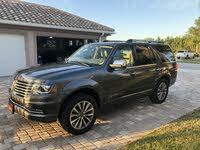 Spec a Black Label trim with the rear seat package and you have a lusher interior than our Reserve for $2,000 less, but you still don’t have any driver assists. The Continental is making a grand entrance—most of it done well—but Lincoln needs to perfect the powertrain and equipment levels before asking these kind of prices. 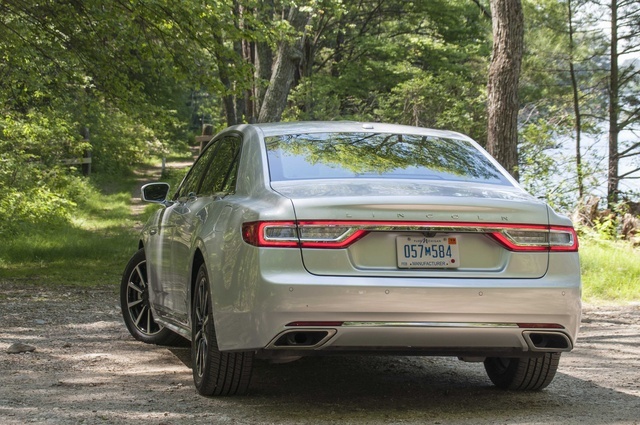 What's your take on the 2017 Lincoln Continental? Guru97LX1 I have been driving a 1998 Continental for 15 years. A great car. Have been anxiously awaiting when Lincoln would do it again. But when I tried a 2017 Continental I couldn't get into it. Like all other modern sedans the roof line has been lowered for aerodynamics and with my 6'5" frame it is too much of a struggle to get into the car. I am really disappointed. So I bought a Chrysler 300 instead, A big old rear wheel car that fits me fine. Roomy and with a smooth ride and all the bells and whistles. .
Have you driven a 2017 Lincoln Continental?